Since its inception, IUPUI has been a campus on the move. That should come as no surprise for a high-energy and diverse hub of innovation and education in the heart of Indiana’s capital city. Indianapolis and IUPUI have grown up together with IUPUI bringing an energy all its own. A spirit of innovation, collaboration, and resourcefulness has fueled this campus from its beginning in 1969. This spirit led our researchers to the cure for testicular cancer, discovered at IUPUI in 1974 by medical oncologist Dr. Lawrence Einhorn. It has led to nationally recognized first-year programs, undergraduate teaching and community engagement among Tier 1 universities. It has led IUPUI to become a destination campus for scholars and students from around the world. Our outstanding programs and momentum have attracted Hoosier talent. In fact, IUPUI educates more Indiana residents than any other Indiana university. We also draw talent from every state in the union and every corner of the globe, including nearly 2,000 international students from 144 countries last year alone. In addition, nearly 28 percent of our new students are students of color. At IUPUI, diversity and inclusion are an integral part of the engine that drives us forward. With the most comprehensive set of programs in the state, we prepare students to succeed in an ever-changing world. To respond to the evolving educational landscape, last year we established a new School of Health & Human Sciences and the IUPUI School of Education, which leverages our expertise in urban education and strengthens our long-term partnership with Indianapolis Public Schools. Our story continues to unfold in the success of our more than 200,000 graduates, the majority of whom have stayed in Indiana to launch their careers, raise their families, and change our world. As you review this community report, you will see how far we’ve come over the last 50 years. Yet, you will be able to see where we are headed over the next 50 because, at IUPUI, we never stand still. 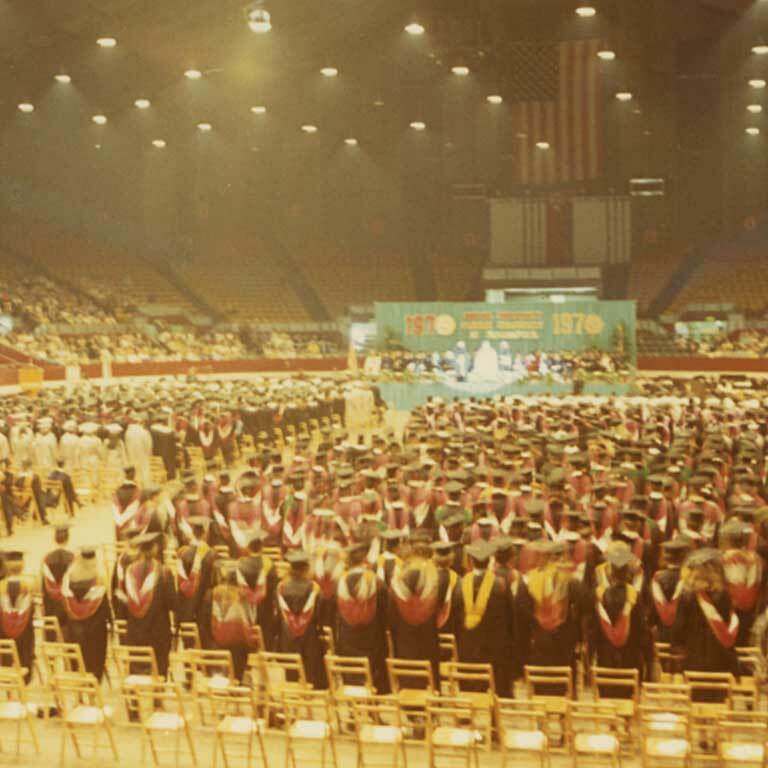 IUPUI conferred degrees upon 917 students in its first graduating class in 1970. 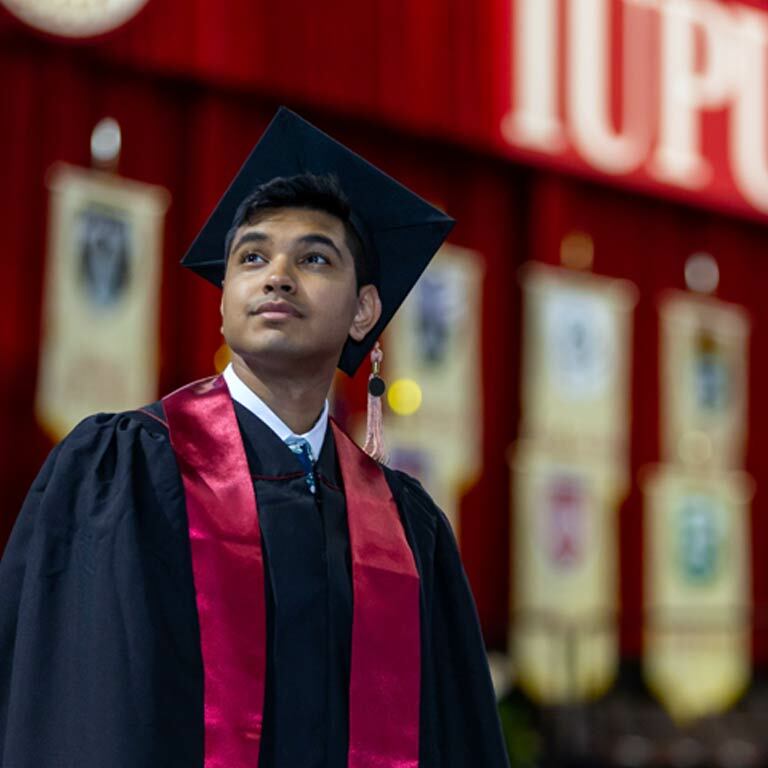 IUPUI’s Class of 2018 included 6,530 graduates.